Riluzole prolongs survival in amyotrophic lateral sclerosis. The temporal and spatial profile of its effect on the brain is unknown. We used proton magnetic resonance spectroscopic imaging to evaluate the neuronal response to 1 day of riluzole treatment in motor and non-motor regions of the brain. In 10 patients the N-acetylaspartate/total creatine (NAA/Cr) ratio increased in the precentral gyrus and supplementary motor area, but not in the post-central gyrus or parietal lobe. 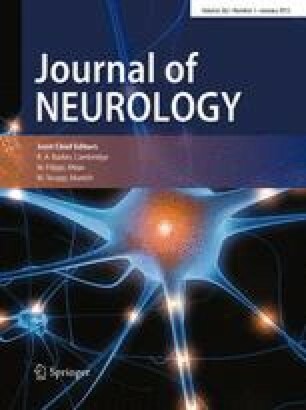 Improvement in cortical neuronal metabolic function in the motor cortex occurs early with riluzole treatment. We thank the patients for their voluntary participation. This study was supported in part by the ALS Association of America and by Aventis Pharmaceuticals.